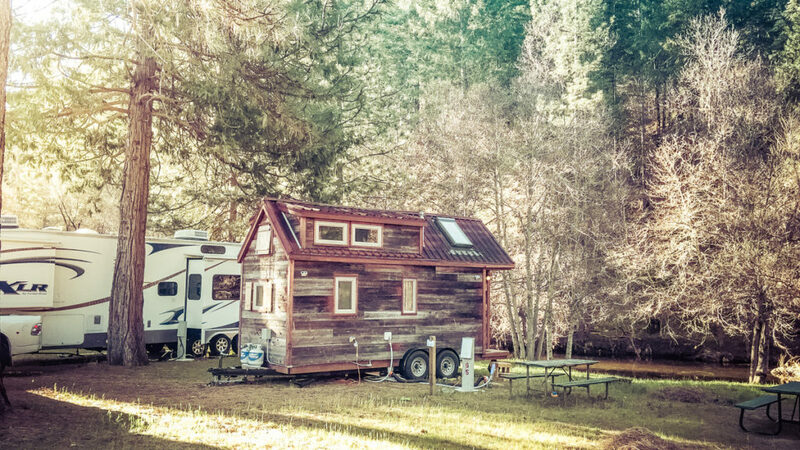 The rise in popularity of the tiny house hasn’t gone unnoticed by RV enthusiasts. Tiny houses “look” like a house. They are solid, weatherproof, and highly customizable. They can go most places an RV can go. And face it, they are really cute! So which is better? An RV or Tiny House? Tiny Houses are expensive to tow because they are heavier than most RVs. Traveling with a Tiny House is beyond expensive due to wind resistance. You can park a Tiny House wherever it’s legal, but laws differ from county to county. Tiny houses are made to be infrequently moved. Tiny Houses are noticeable—a downer if you’re trying to “blend in” at a Walmart parking lot. RVs give you more bang for the buck in terms of sleeping, storage and towing. The RV market is huge, so it’s easier to find that perfect match of price and preference. RVs are relatively easy to insure and have more financing options. The aerodynamic shape of the RV is better for the environment when on the move. Where both the Tiny House and RV communities agree is living small wherever you wish is a great choice. What are your thoughts? Let us know on our Facebook page.